It’s always great to be back in Austin, even for a brief weekend. It’s where I grew up for most of my life. It’s where I learned how to be a reporter. It’s where my family and some of my best friends live. 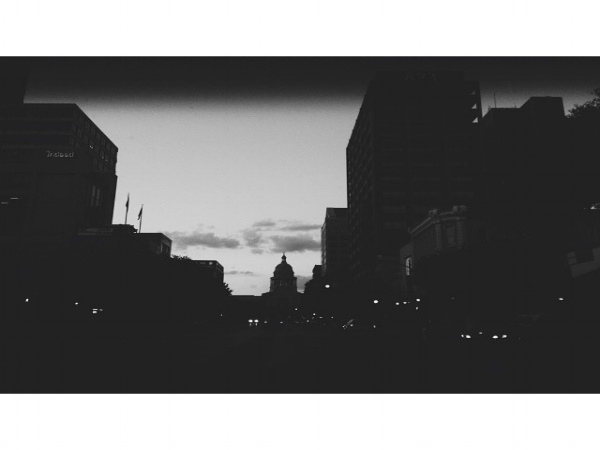 I have a love/hate relationship with the city of Austin. It’s like that relationship you had many years ago. It was great while it happened. He may have been your first love. He was there for you during an awkward period of your life. You become different people. You grow apart. You realize you’re not meant for each other, and that’s ok. Sometimes, it just doesn’t work out. But it’s not like you’re bitter. He will always have a piece of your heart. You always feel a little flutter every time you see him, which, of course, makes you wonder why ya broke up in the first place. You start to second guess that decision. Maybe it could work out, but then reality sets in. He’s suffocates you and doesn’t let you try new things. Oh right, that’s why ya broke up. This is not the same guy you fell in love with. At least with your new boyfriend, he keeps you entertained, for the most part, and gives you space. Sometimes a little too much space, but whatever, it’s a nice change. He’s opened your eyes to new experiences and introduced you to people you never thought you’d hang out with when you were with your ex-boyfriend. Plus, he has great connections. But… with the new boyfriend, sigh, it kind of feels like a routine after a while.